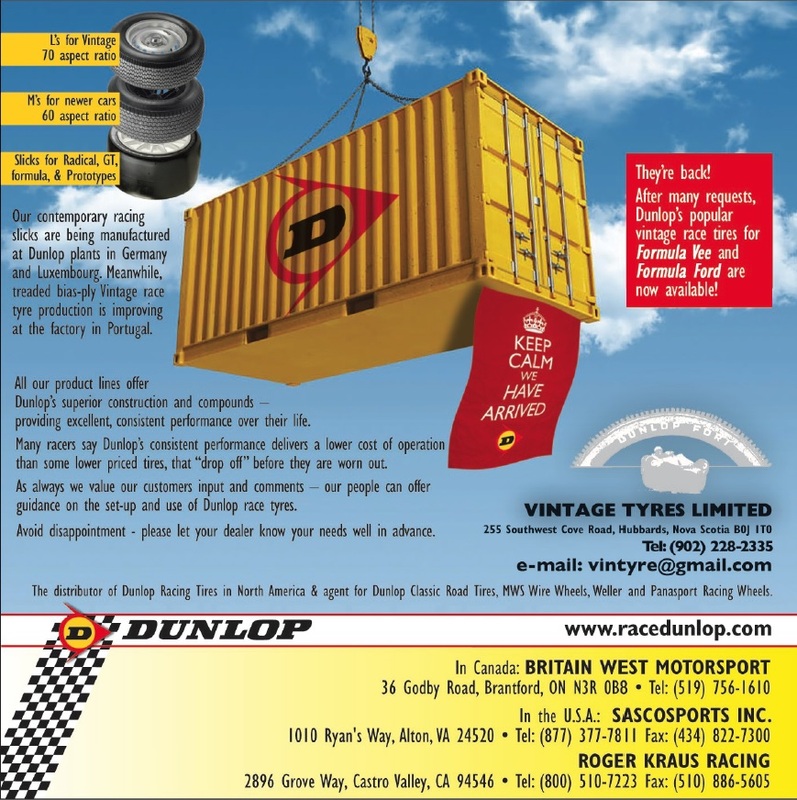 Incorporated in 1990, Vintage Tyres is also agent for Dunlop Classic Road Tyres, and many other brands of tyres for Vintage & Classic Road cars. Check our product listings here. We also stock Panasport alloy, Weller Steel racing wheels, and are agents for MWS wire wheels. Dunlop racing tyres are now made in Germany, Luxembourg and Portugal. We now have stocks of all Radical sizes, some 18" radial race, and more Dunlop bias-ply Vintage race on the way. Racers can help by letting your authorized Dunlop Race Tire dealer know your needs (size, compound & quantity) for 2016 as soon as possible to help us ensure adequate supplies of your size.